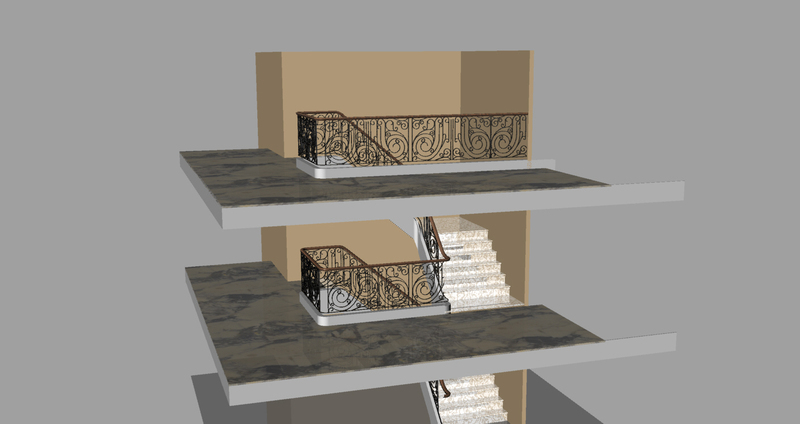 Staircase and handrail design. 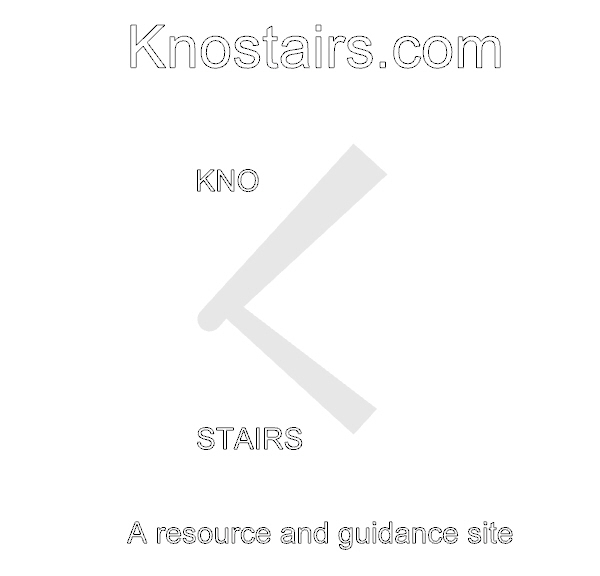 – The complete stair design service . 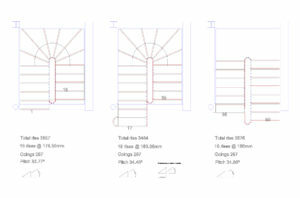 The complete stair design service . 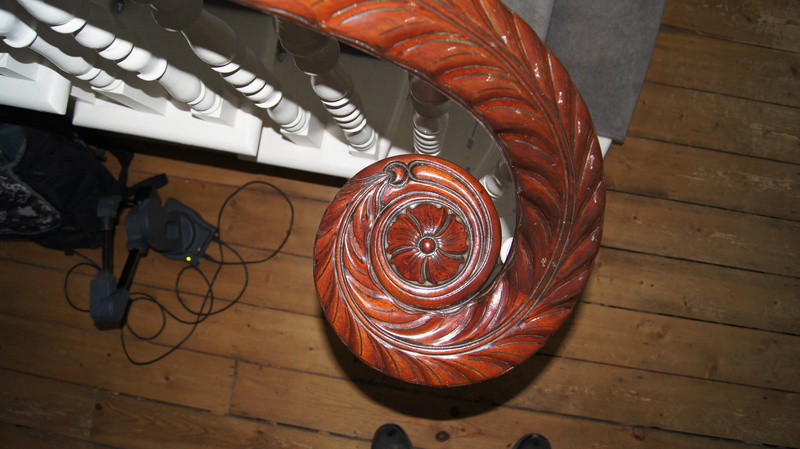 How do I repair a traditional staircase or handrail? How do you get a new flight to match in with existing flights? How does the handrail work? How should flights of stairs set over each other? How far forward of the landing should I set the top nosing? How do the stairs meet the landings? These are some of the questions that are frequently asked, these questions are best resolved before the stairs are build but all to many times hese are an after thought. We are experts in resolving these design issues, producing working drawings and giving onsite guidance to get the job done. To get advise on resolving a problem or design to prevent a problem call us today. The first stage is to determine a basic design intent. We will help guide you through this process. This will include staircase layout, materials and finishes. Once we have the design intent we can start producing visuals with full manufacture drawings and specification, these drawings will then be available for issue with a full specification for submission to manufacturers for like for like pricing. 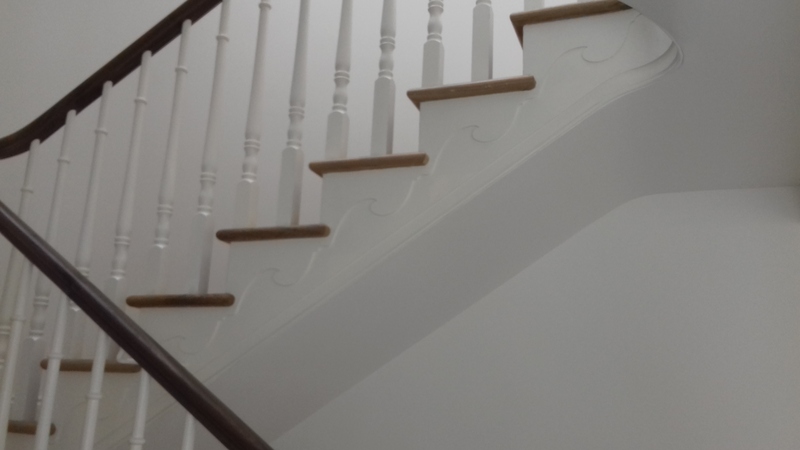 Have a quick look at some of the projects we have been involved in, from modernising or updating stairs to our full design and install projects. The staircase is the largest single item in any house, it has to meet the landings correctly and is the foundation for the handrail. 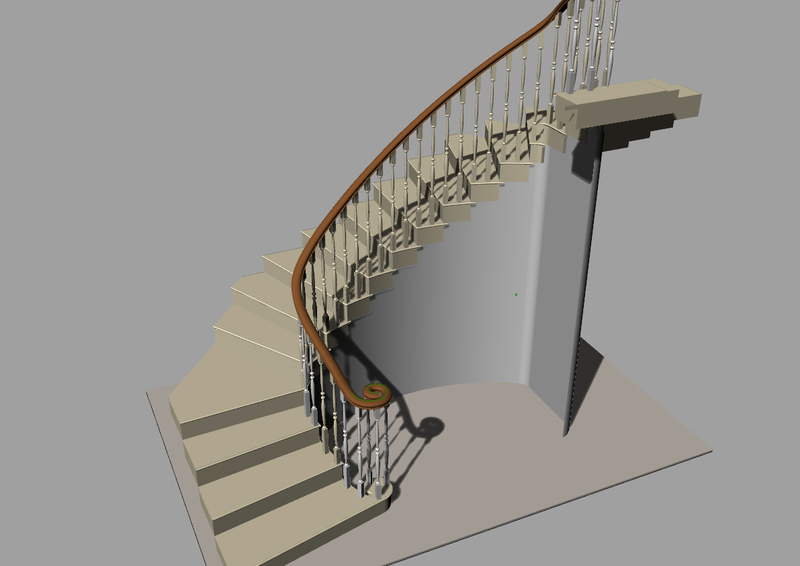 Many staircase designers and builders design the stairs without thought to the handrail or the floors that the staircase has to interact with, this can lead to many problems once the stairs have been fitted. This may mean you do not get the handrail to flow correctly and the stairs may not meet the walls at the right point or even how the underside meets the ceiling line. 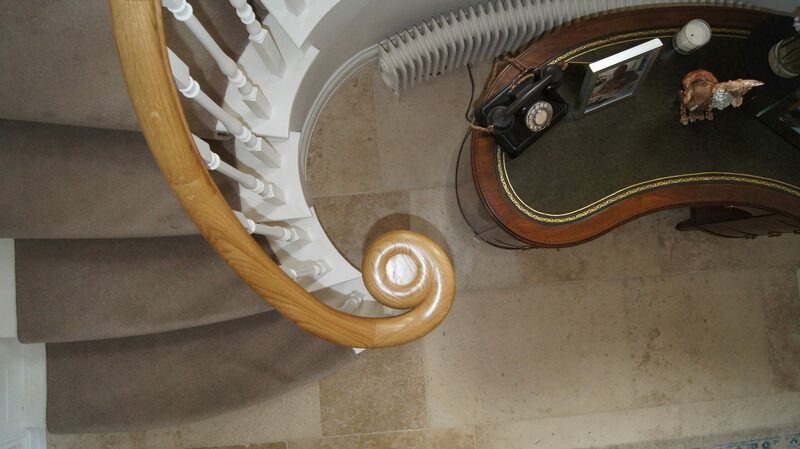 wether your stairs are traditional or modern the geometry is the key. 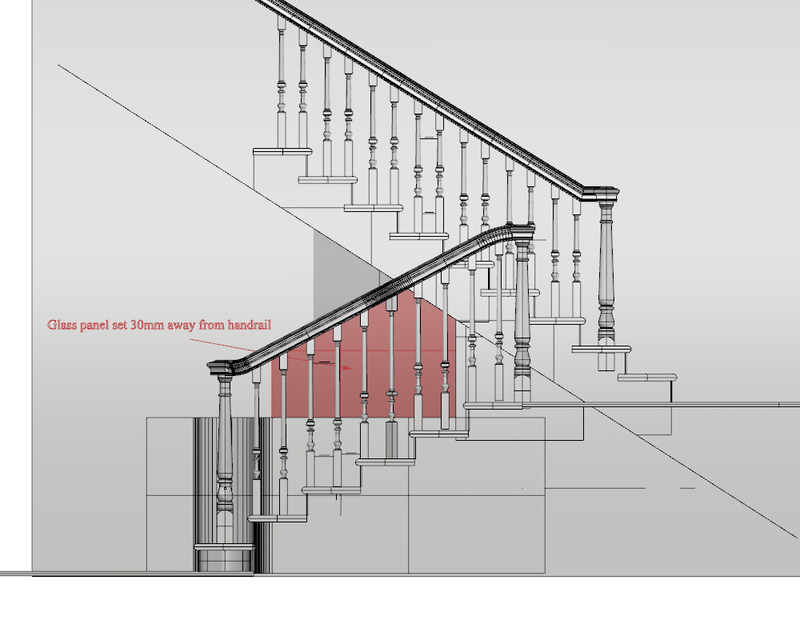 Geometry of the staircase also controls any features you may want, such as Monkey’s tail or offset opening caps set over newel posts. Getting the stairs designed correctly can save thousands of pounds in correcting design errors at a later stage. the stairs should be designed before the hallways are set out with doors and skirtings to ensure a satisfactory outcome. Wish to learn more about stairs? The site is fairly new and still building if you are an architect or deigner this site is a site to keep an eye on. The site is designed to help anyone that has to work with geometric stairs. Copyright © 2019 Handrail and staircase consultants limited.